I found an article yesterday that said hobbies you loved as a child are most likely the hobbies that will refresh you as an adult. My favorite childhood pursuits were reading (so surprising), music, and asking a million questions, which surprisingly all still ring true today. 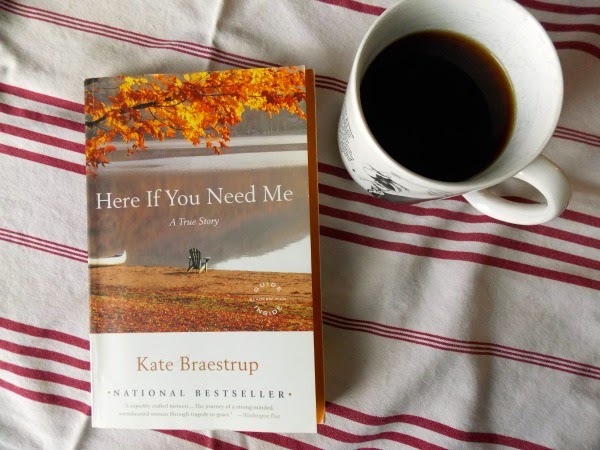 Here If You Need Me, by Kate Braestrup. This book--mwah! This is a bea-u-tifully written memoir about a woman whose husband dies unexpectedly and how she moves forward, eventually becoming a chaplain to game wardens. While it may seem that game wardens in Maine wouldn't have much need for her, you'll be surprised. Her well-told stories of hunting for lost ones, comforting grieving families and encouraging wardens will captivate you. This book is moving, funny and inspiring. One I would highly recommend. Ignore Everybody and 39 Other Keys to Creativity by Hugh MacLeod is chalk full of helpful and hilarious tips on moving forward with creativity (not to mention his fun business card art). He has the ability to wryly kick you in the pants while making you laugh. I set this book down, grabbed a pen, and started creating! Because I'm insatiably curious and still love to ask questions, do you find that your hobbies today are similar to the hobbies you loved as a child? Great post Catherine. I always love listening to music and dancing in my room. It still brings me joy. I wish I was more of a reader like you. Hugs.